Amphawa is a small town in the Samut Songkhram region (in Thai: สมุทรสงคราม), only 60 kilometers northwest of Bangkok. Mostly unknown to international tourists, Amphawa is a place that offers a lot, especially when it comes to relaxing and contact with authentic local traditions. 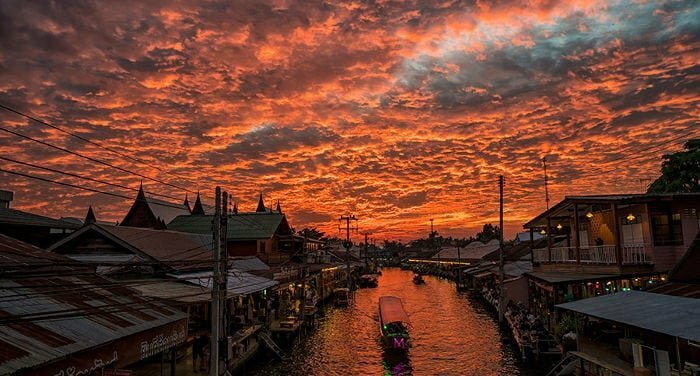 You’ll especially hear of Amphawa for its floating market on the shores of the Mae Klong river, much less famous and crowded than the more touristy Damnoen Suduak Floating Market, but much more charming and genuine. The market is held only between Friday and Sunday, from late in the morning to way into the night. I recommend that you go to the market towards four, when the sun isn’t as scorching, so you can visit the market without suffering through the typical suffocating heat that characterizes Thailand, especially in the months from April to September. An interesting itinerary is to go to Amphawa late in the afternoon, visit that market and take a boat tour, then spend the night in Amphawa to see the train market the next day (Maeklong Railway Market) located a few kilometers away. Why is Amphawa better than Damnoen Saduak? 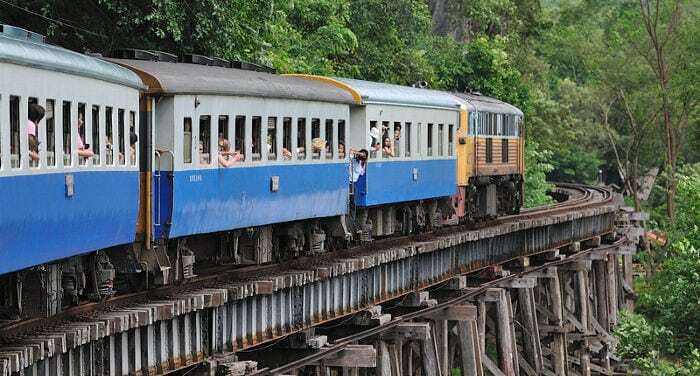 An interesting option for traveling in Thailand is to take the train. Despite the bus network being much bigger and better connected, traveling by train also has its advantages, especially if you aren’t in a rush and want to fully enjoy the atmosphere of the journey. The main national rail hub is Bangkok. The city station is called Hualamphong and it is easily reached from the center of Bangkok by metro (MRT). You have to get off at the last stop, which is called Hualamphong (if arriving from the airport). Once you come out of the metro, finding the station isn’t difficult, just go up the escalator and turn right: the stop is right under the ticket counter. Hualamphong station, despite being built some 101 years ago, is still one of the most widely-used buildings in the capital. The building was designed by the architect Mario Tamagno from Turin, who gave it its Renaissance style. Connections offered at this station cover all four cardinal directions: north with Chiang Mai, south and west with Trang and Nakhon Si Thammarat, and lastly east with Ubon Ratchathani, Nong Khai, Sattahip and Aranyaprathet. Here you’ll find a detailed map of Southeast Asia’s rail network. 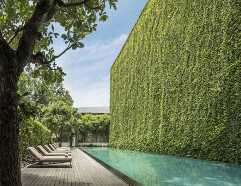 The matter of visas take the most time and research for those planning a mid to long term stay in Thailand. First of all, if you want to vacation in Thailand for less than 30 days, have a passport valid for at least six months issued by one of the countries on this list (US and UK are on it) and a ticket to leave the country (within 30 days from the date of arrival), then you won’t need a visa. If instead you want to stay longer, you first need to understand why you need a Thai visa and what type of visa you need to apply for. How long does it take to get a Thai visa? 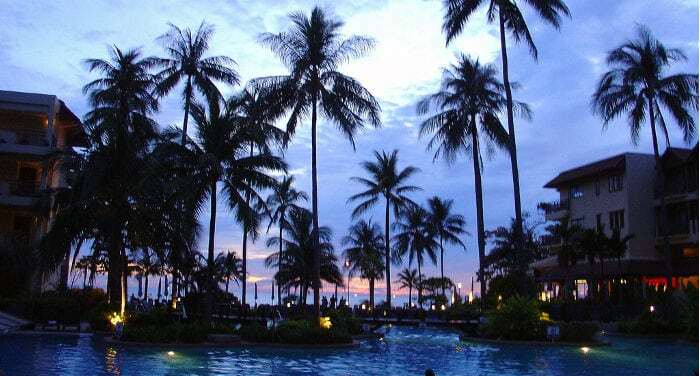 How much does a Thai visa cost? 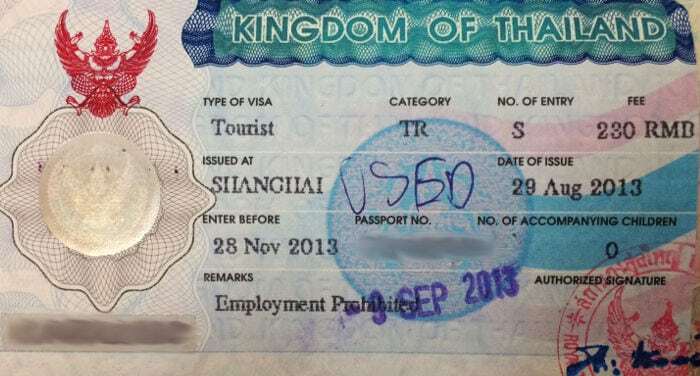 What happens if I stay in Thailand after my visa expires? 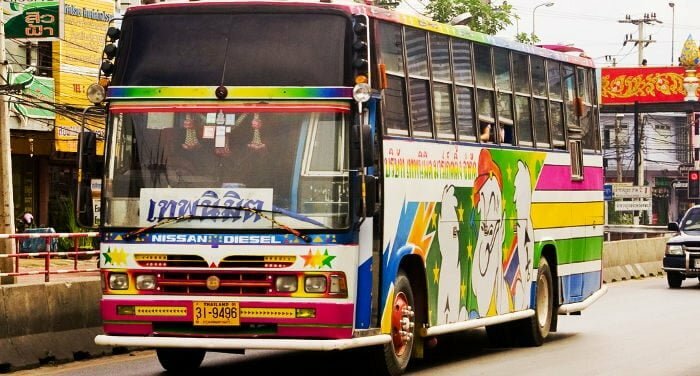 Traveling by bus in Thailand is very convenient, both in terms of savings and comfort. 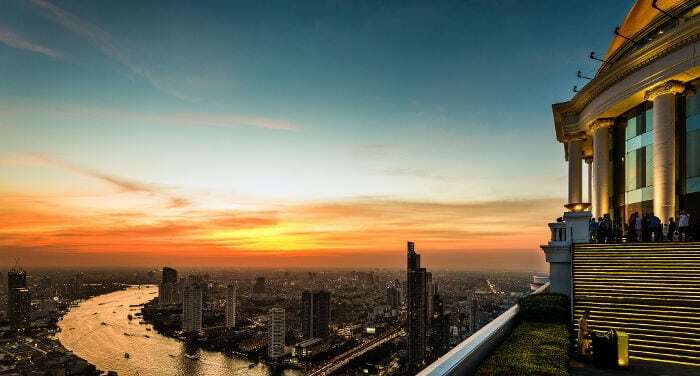 Bangkok represents the country’s major transportation center; in fact, from the capital it is possible to reach practically every city in Thailand, and even cities in neighboring countries, such as Myanmar, Laos, Cambodia, and even Malaysia. 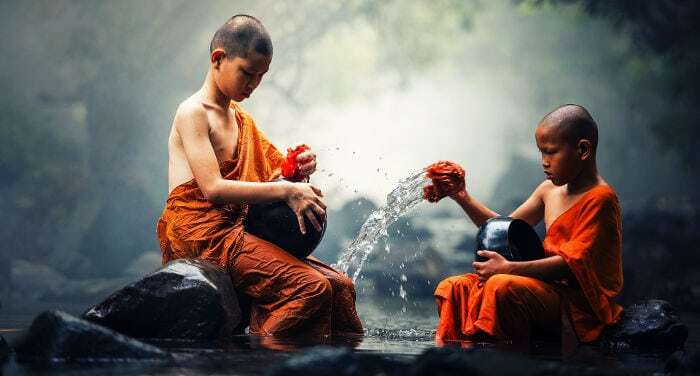 Besides cheap prices and excellent connections, traveling by bus in Thailand is a relatively comfortable experience. The vehicles used by various transportation companies are almost all new and equipped with every comfort. Their are daily buses that offer services such as television, some snacks, and a few even have Wifi connections. Night buses will welcome you with reclining seats, covers and the classic midnight snack! Get a free quote from World Nomads now! 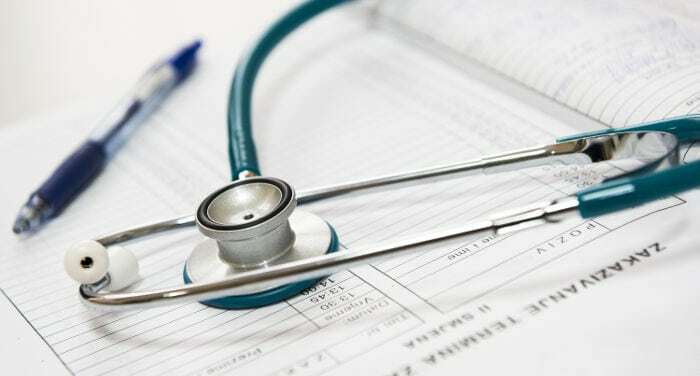 This article is intended to explain the importance of having health insurance when traveling to Thailand as well as to explain the healthcare system in the country. If you come from Europe or a country with a free universal healthcare system, it’s important that you read the first part of this article, as the freeness and quality of the public health care system in Europe make many people forget how expensive medical treatment can be. If you come from a country like the United States, you will already be aware of the importance of having a good health insurance policy. Why do I need health insurance when traveling in Thailand? For the time being, in Thailand, having health insurance or traveler assistance insurance is not a requirement for traveling to the country. So, you can go there no problem. Even so, unless you have tons of money to spare, you had better not get sick, and much less become the victim of an accident. Hospitals in Thailand – like the majority of countries – are not NGOs and will not help you unless you can pay up front or are covered by adequate health insurance. 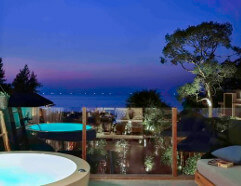 Koh Samet (often written also as Koh Samed) is one of the closest and easily reached islands to Bangkok. Located only 175 kilometers from the capital, the island is also called Koh Kaew Phitsadan by the Thais, which means “Jewel Island”. 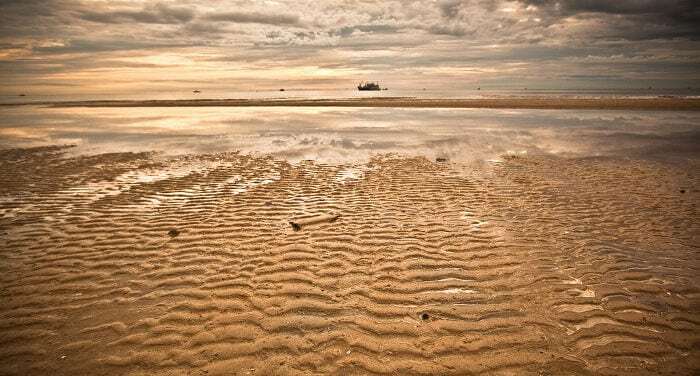 Despite not being as touristy as Phuket or Phi Phi Island, Koh Samet is frequently visited by local tourists and foreign residents from Bangkok, who escape for just a weekend from the chaotic life of the city. There’s no one best time of the year to visit the island, since it has a dry climate all year long. 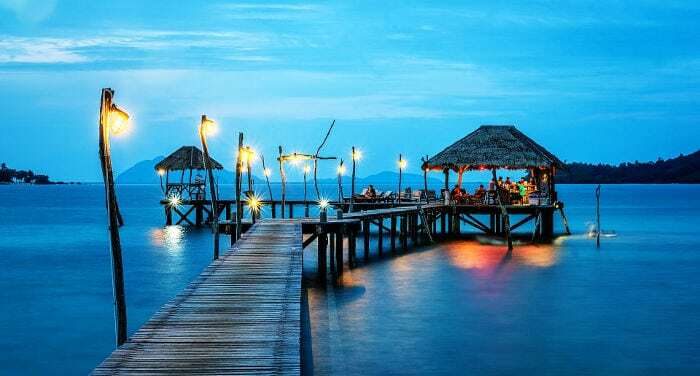 It’s for this reason in fact, that Koh Samet is a popular destination during the months when monsoons strike the majority of Thailand, namely May to the end of October. The island’s beaches are composed of white sand and clear water. Nature is master here, even if imposing luxury resorts are sprouting up like mushrooms, especially near the biggest beaches. The only beaches where you can sunbathe and take a dip are those on the eastern coast. On the other side of the island there are no beaches but rather rocks that make water sports practically impossible. Today I will explain how and where to book a hotel in Thailand. Note that if you’d like to book a hotel – or hostel – in a specific place, you can skip right to the last section of this article. Which portal is best for booking a hotel in Thailand? Chiang Rai, a city considered noble due to its past as the capital of the Kingdom of Lanna, is especially famous for its proximity to the golden triangle; an area on the Mekong River where the territories of Thailand, Laos, and Myanmar meet, forming a triangle. The golden triangle is widely known abroad as world’s most important region, second only to Afghanistan, for the production of opium during the 50’s. 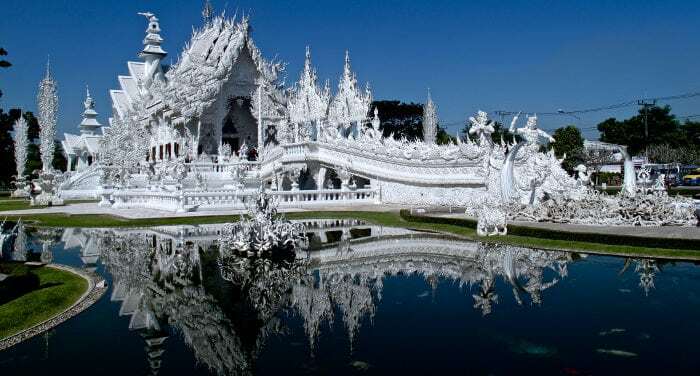 Chiang Rai is however known for its Buddhist temples, particularly the marvelous White Temple (in Thai: Wat Rong Khun), located a few kilometers outside the middle of the city. The city of Chiang Rai is about 800 kilometers from Bangkok, and is the capital of the province of the same name. Just a little smaller than Chiang Mai, Chiang Rai has a population of 70,000 inhabitants. Its territory is mainly mountainous, being situated 600 meters over sea level. This characteristic makes it so that in winter the lowest temperatures go down to even 15 degrees, which is very low for Thailand. 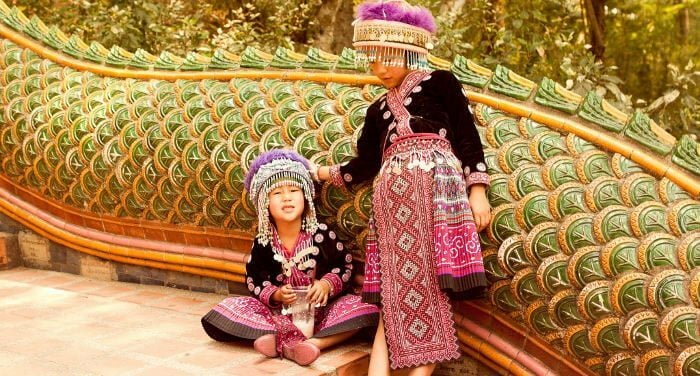 Its strategic position makes Chiang Rai a perfect spot for those that also want to visit Myanmar and Laos. Chiang Mai is 700 kilometers away from the capital Bangkok, and is the largest city of the north and the second largest in all of Thailand. As a budget-friendly city that is easily visited on foot (as opposed to Bangkok! 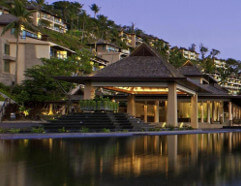 ), it is also the preferred destination for those intending to travel to southeast Asia for an extended period of time. I do however recommend that you read reviews from other travelers about specific hotels, in particular hostels and guesthouses since often their prices are really low yet the condition of the rooms are catastrophic (damp blankets that are almost wet, bathrooms that don’t work, etc). One solution is to see the room with your own eyes and personally visit each guest house, in this way you can negotiate the price per night. The majority of hotels are located in the historic center, surrounded by ancient walls that surround the city, creating a square “defense” of the walls and surrounding canals. 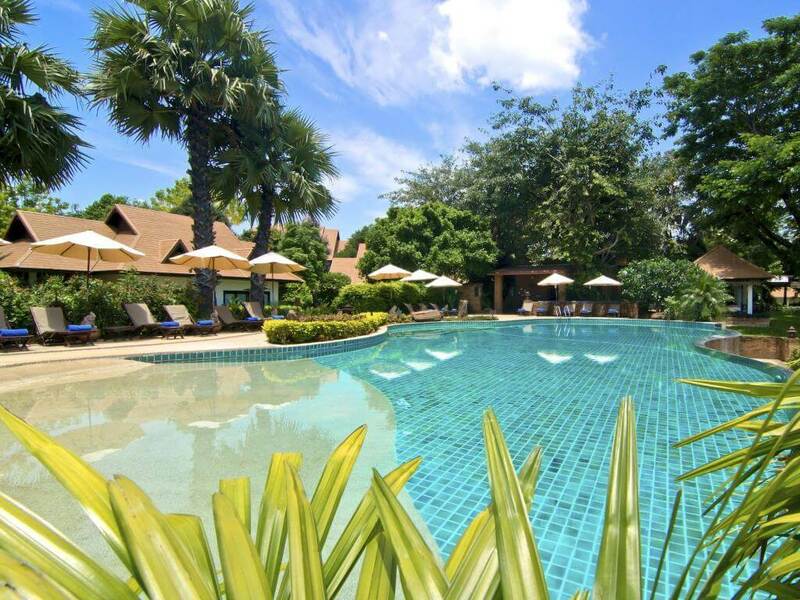 Click here to read reviews of the hotels we recommend in Chiang Mai. 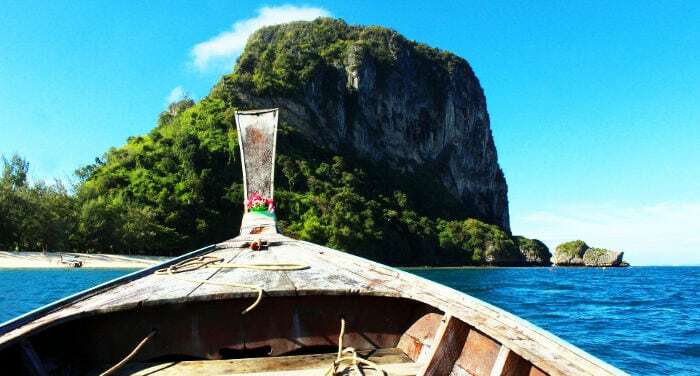 Despite having its prefix Koh removed (in Thai: island), Phuket is Thailand’s biggest island, connected to the mainland (Phang Nga province) thanks to a 700 meter long bridge. Before the construction of the Sarasin Bridge,the only way (besides by air!) to reach the mainland, was the ferry. After the construction of the Sarasin Bridge in 1967, the Thai tourism authority in 2011 was forced to build a second bridge, the Thepkasattri Bridge, due to the imposing increase of vehicles headed toward the island. Today the Sarasin bridge is resigned to a simplistic touristic role; platforms were built to allow tourists to photograph the sunrise or sunset looking directly over the Andaman Sea. With its 570 square kilometers, and almost four hundred thousand inhabitants, the island of Phuket attracts more than 11 million tourists a year, thanks to its renovated international airport. The island is predominantly mountainous, with its highest peak (Mai Thao Sip Song) reaching 529 meters above sea level. Excluding the 70% of territory covered by mountains, the remaining 30% is covered by rice paddies, bamboo and coconut plantations, and the park Khao Phra Thaeo.